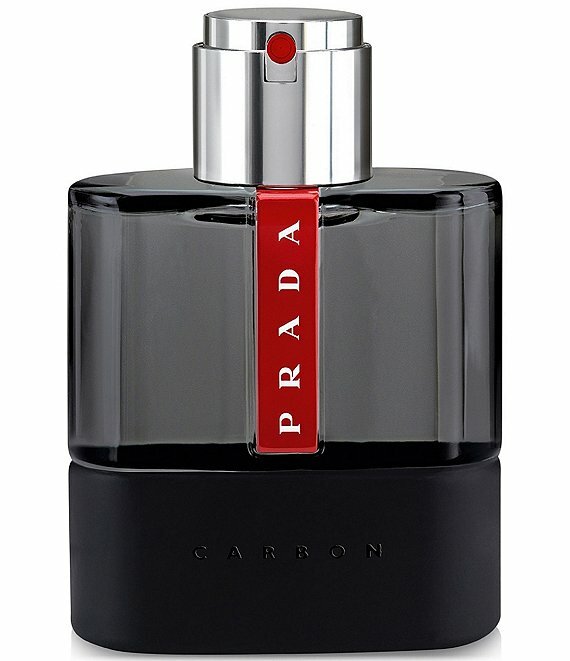 Prada Luna Rossa Carbon is a seductive masculine fragrance inspired by the collision of nature and technology. Steam-distilled botanicals mix with modern materials in a distinctive blend. A modern fougère, the scent features energetic notes of Lavender, green Bergamot from Italy, radiant woody notes of Patchouli, and the dry Amber of Ambroxan.